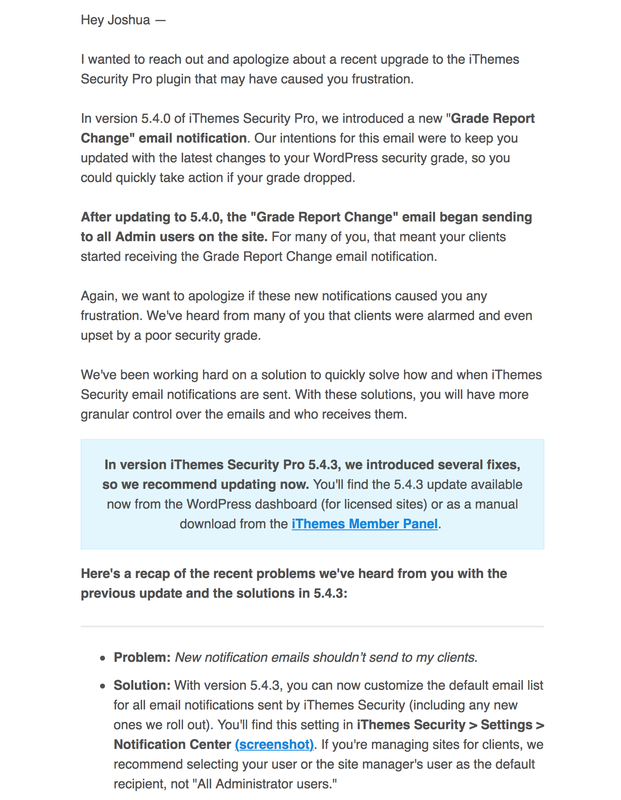 A recent update to iThemes Security added notifications for Automatic Updates Info & Grade Report Change. By default, these send to all administrator accounts. As such, many of my clients began receiving notifications without my consent. Updating notification settings for iThemes Security has never been a pleasurable task, so I pulled together an assistant today to help me get the job done. I hope you are able to find this assistant useful. If it saves you some time, you’re welcome to applaud the author. Questions? You can most easily reach me at @uamv. I am very appreciative of their responsiveness in this matter. 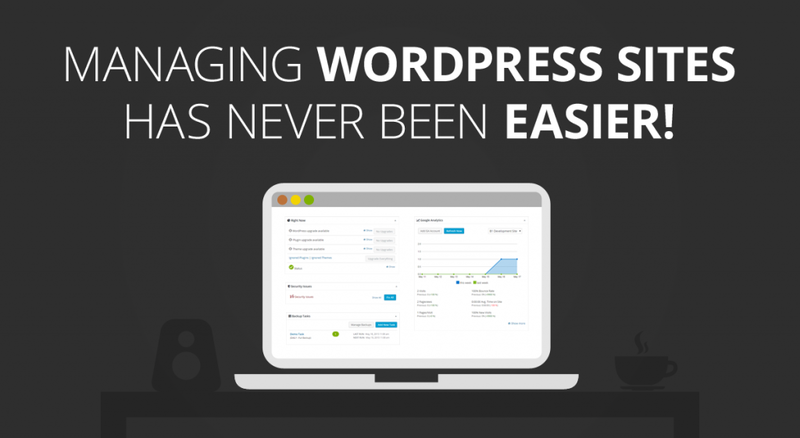 Thank you, iThemes!